Open Office is a new office application suite that supports the ISO/IEC standard OpenDocument Format (ODF). The suite is intended for data interchange, and it supports most of Microsoft-supported file formats, and is even said to read damaged files, which Microsoft normally does not. OpenOffices biggest advantage is that it is absolutely free. This is exactly why many ordinary PC users, whose PC work is usually confined to creating, editing and exchanging electronic documents. Therefore, a shift from Microsoft Office to Open Office will not make much difference for a John Doe PC user, except maybe for the different look of the interface and, what’s most enjoyable, lack of necessity to pay for the product. Therefore, Open Office does not pose any difficulties for users. However, there is just one thing that takes a little bit of getting used to. Having created a text document or a table, you have to save it in DOC and XLS respectively. Ironically, there are things that the free Open Office can do quite well and the all-go-know Microsoft Office cannot. For example, Open Office opens XLS and other files created in Microsoft. At the same time, Microsoft Office does not recognize ODT, ODP, ODS, etc. files created in Open Office. This can be pretty much of a problem when it comes to using XLS files created in Open Office on PCs with Microsoft Office installed on them. The whole thing is complicated by the fact that there are a limited number of PCs using Open Office, compared to those using Microsoft Office. However, this is not much of an issue, since there are ways around it. All you need to do is click File, select Save as and specify Microsoft Excel 97/2000/XP (.xls). Then click Finish. The only inconvenience is the large size of the output XLS file, which will exceed the amount of information contained in it. However, this is not critical for XLS or DOC files. While many people find it tempting to use the free Open Office instead of the costly Microsoft Office, it is unlikely that Microsoft Office will fall out of use in the foreseeable future. Although Open Office seems to be harder on Microsoft’s heels every year, still it has a long way to go to get up to par with Microsoft in some features. It's quite easy with Total Excel Converter. 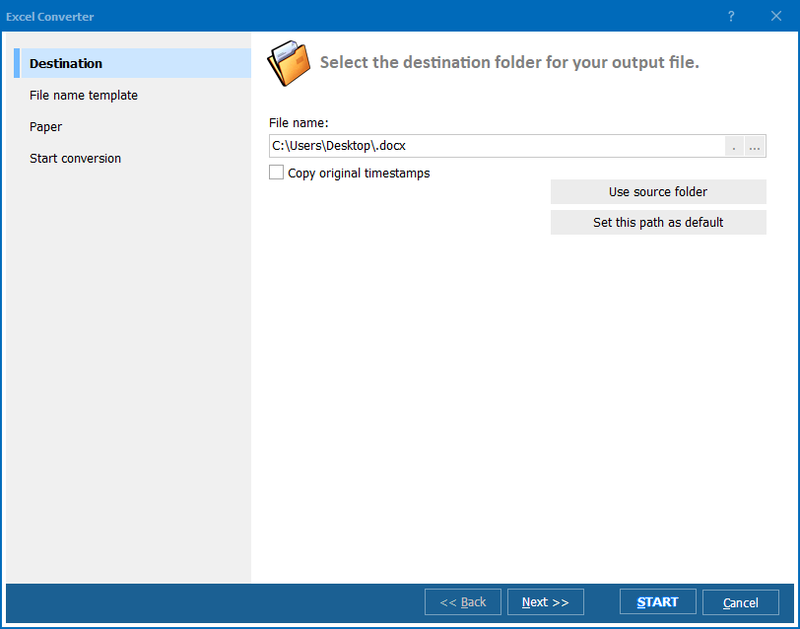 Launch the program, select the ODS file (or files) and press XLS button in the main menu. In few seconds you may find the newly created spreadsheets compatible with Microsoft Excel. 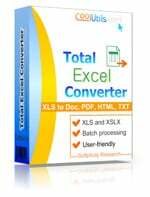 Total Excel Converter is available as an instant download. You don't have to waste your time waiting for the CD to arrive. 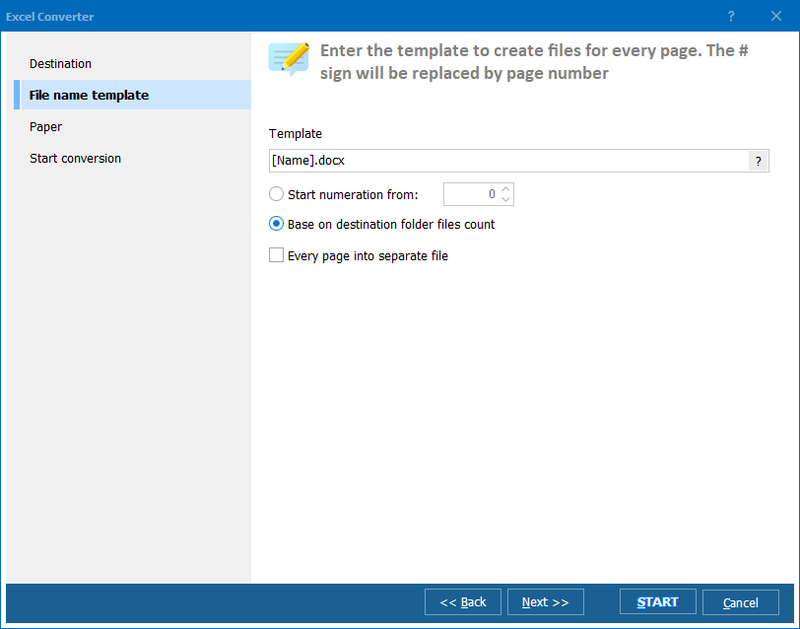 Download your copy of Total Excel Converter now (free demo is valid for 30 days) and convert ODS to XLS without hassle.